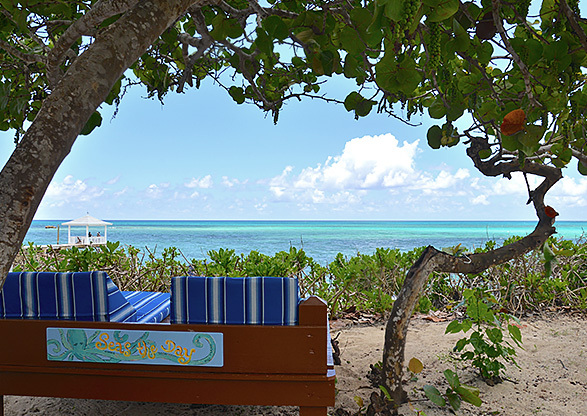 With sugar-soft sand, 300 days of sunshine, and beautiful crystal-clear waters that simply take your breath away, Sandyport Beach Resort is all you've ever imagined in a tropical island getaway. 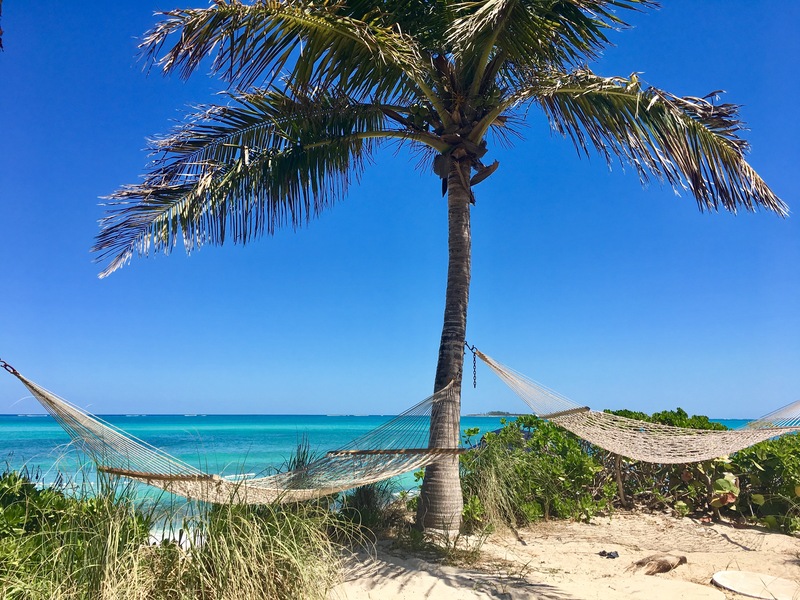 Guests enjoy our delightfully secluded Lagoon Beach lined with palm trees and hammocks, snorkeling right along the shoreline, and plenty of quiet spots for building sandcastles. A short, picturesque stroll along the Grand Canal under the bridge brings guests to the Ocean Beach, where plentiful beach chairs and umbrellas kick off your stay with a beach day. 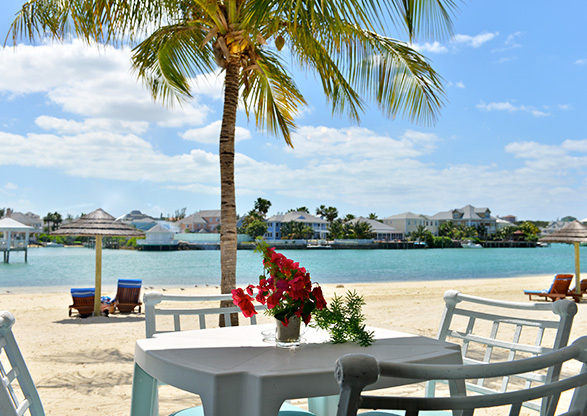 Whether you’re spotting stingrays in the canal, lounging on a day bed, or enjoying an outdoor massage overlooking the ocean, our guests agree: every stay should begin with a day to decompress and relax within a few yards of Nassau’s warm, turquoise waters, just minutes from world-famous Cable Beach. You're in good hands with our massage therapist, Suzanne Fraser. Her Total Tranquility offers deeply relaxing and restorative massage services, including spa packages for every occasion either on the beach or in-room. Nothing says relax and recharge quite like a hammock on the beach. Ours are suspended between palm trees just steps from the water. Don’t forget your beach read! Start the day on the beach with cappuccino and chocolate croissants from Blue Caviar. 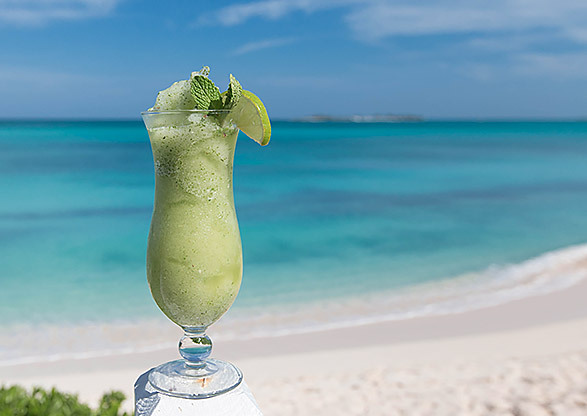 Later, sip tropical cocktails from Blue Sail in the comfort of your hammock as the sun sets. Our restaurants are located on our Ocean Beach with full drink service on the beach. Located adjacent to the Blue Sail Restaurant and Bar, The Lookout is a private "guests only" retreat with lounge beds and hammocks overlooking the Ocean Beach. Guests tell us this is one of their favorite spots to relax and recharge! 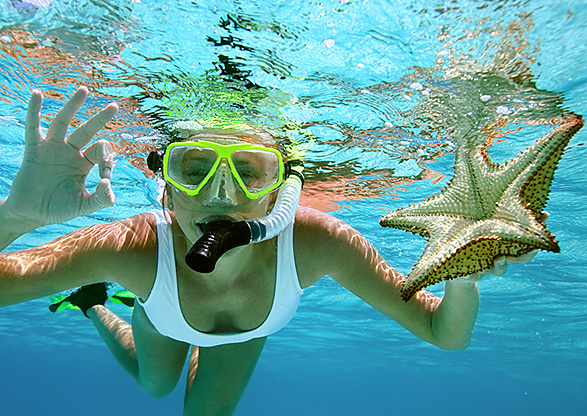 Our guests can snorkel right from the beach and explore a colorful coral reef teeming with tropical fish. 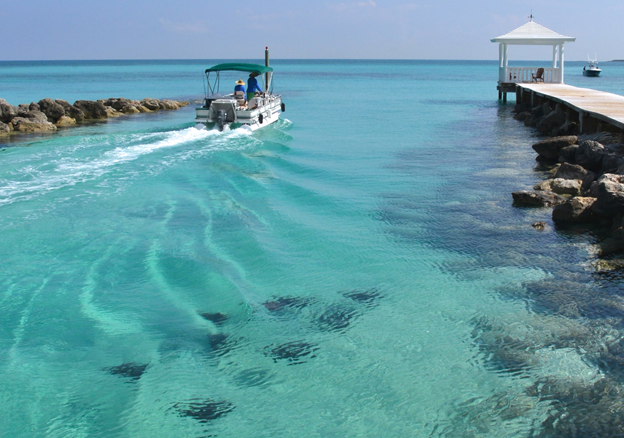 Sandyport Beach Resort offers complimentary snorkeling equipment at the front desk and we'll happily arrange boat trips to some of our favorite snorkeling spots. Lounge chairs, beach umbrellas, thirsty towels. Check, check, check. 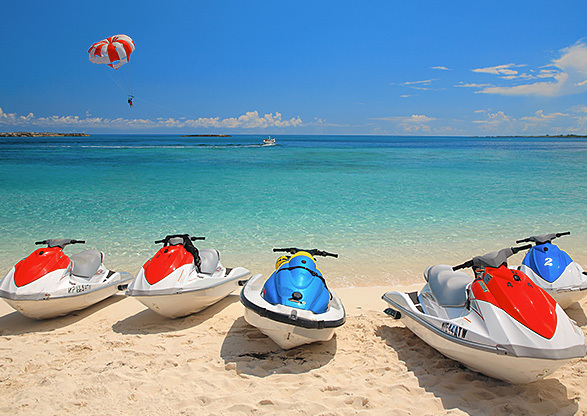 At Sandyport Beach Resort, beach days couldn't be easier because we supply all the essentials for fun. Longing to step straight out of your suite and onto the warm sand? Our Lagoon Beach Suites were made just for you! Wake up to the rustling of coconut trees, sip a sundowner as the sun sets, and let the blue-hued beauty wash over you. 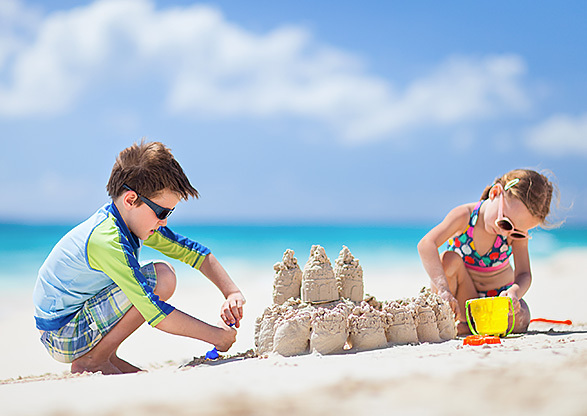 Our guests enjoy combing and building sand-castles along our sun-kissed shores. It's no surprise that two of life's simplest pleasures come together at Sandyport Beach Resort & Hotel. Our canals are a wildlife protection area, acting as nurseries and safe areas where small fish and crustaceans grow and thrive as well as stingrays, turtles, manatees and seahorses. This natural accretion beach is also where coastal plants hold the land against the sea. All of the island's beaches offer public access, including the beaches of Atlantis, Baha Mar, and other beach resorts. Many offer day passes, so you can spend a day enjoying full-on activity, then return to Sandyport's laid-back atmosphere. 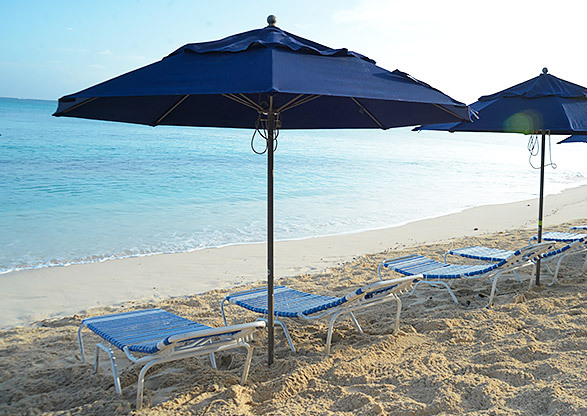 Whatever your beach-going style, you’ll find a beach to suit in Nassau. 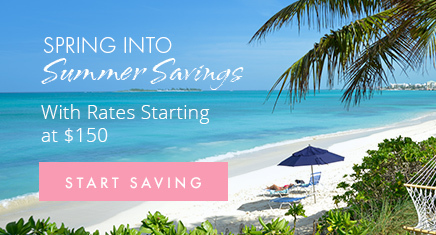 Our guests can go to the Baha Mar and Atlantis beaches at no cost by accessing the public entrances, as well as off-the-beaten-path beaches like Jaws Beach reached by bus or rent a car. Most hotels offer day passes so you can go to Sandals, Meliá, and Breezes for a full day of full-on fun.